Loenardo's Collection, Bronzed Sitting French Bulldog. 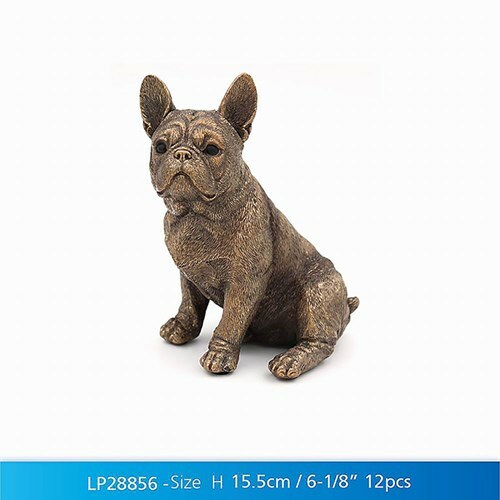 A fine quality bronzed French Bulldog figure with a bronze textured finish. You can always tell a good figurine from the eyes. Made from Resin with a bronzed finish, showing a lifelike pose.